The trade mark CARAMURU (name of a historic character of Brazil, Diogo Álvares Correia , a shipwreck, frightened the Indian that tried to arrest him with its harquebus being called “Caramuru“ (“god of thunder”), passing live among them. It was the first Portuguese to reside in Brazil in 1510?. 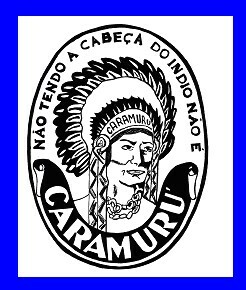 But the illustration of the Indian of the mark was used of wrong way, Caramuru was a white man and not a Indian. 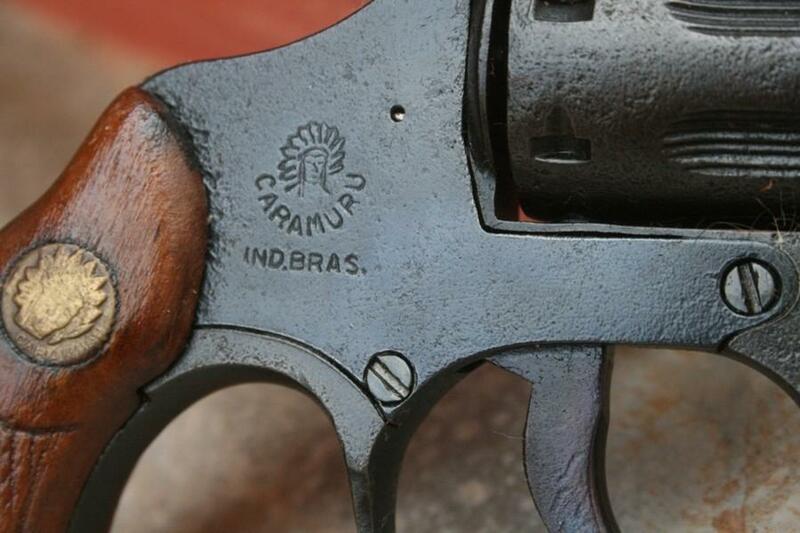 Was used by FAM- Fábrica de Armas Modernas (factory of modern guns). It acted in the decades of 1960 and 1970 producing in the city of Jacareí, state of São Paulo in this period, good revolvers with the frame in steel in calibre .22 LR (model R1 and R7), 32 SWL (model R6), and the K5 carbine also in .22 LR with bolt action and 5 shots; another carbine .22 of just 1 shot (model K1), shotguns (model 62) in caliber 28, 32, 36, 40, and excellent air rifles. 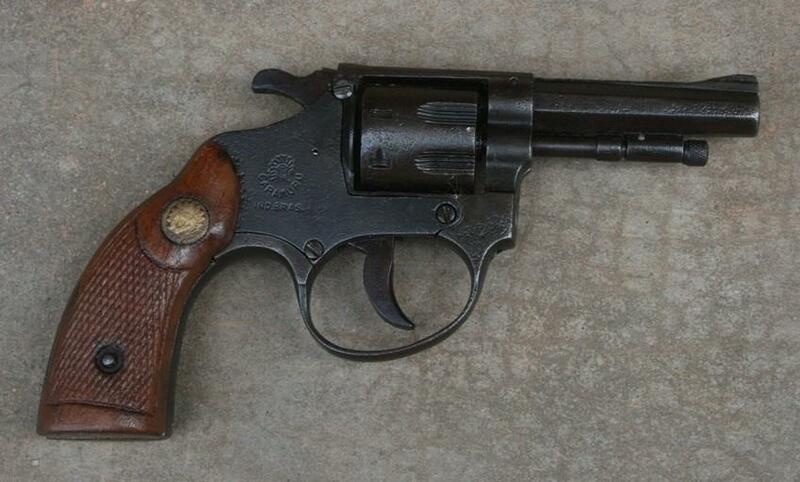 It also did some guns that did not pass of prototypes like a revolver model R3 in 38 spl, and a sub machine gun based on UZI's Drawing, in 9mm Luger. 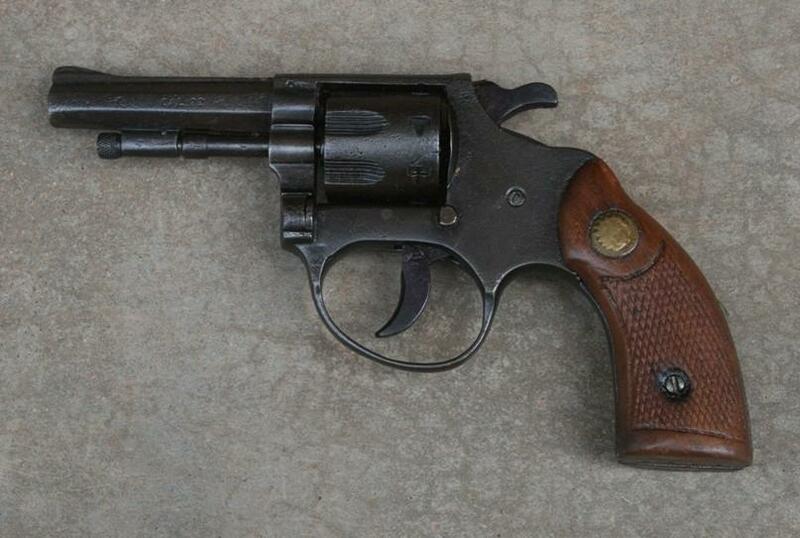 It stopped to producing firearms in the middle of decade of 1970, proceeding producing pieces by automobiles.